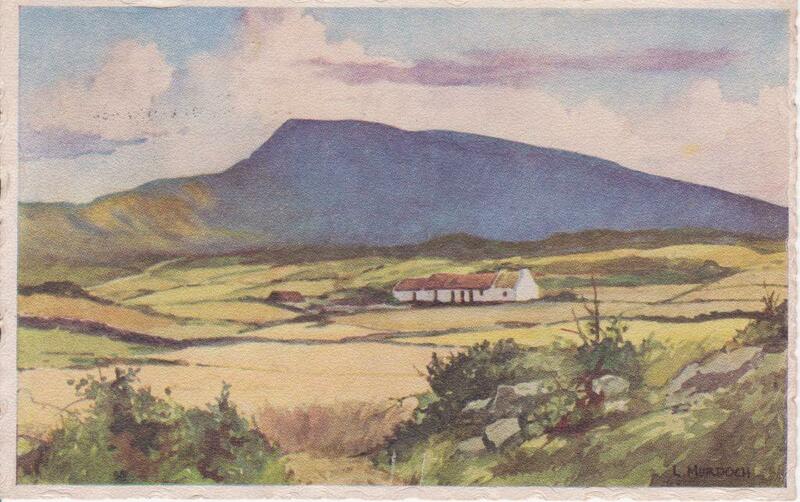 No publisher indicated or number. 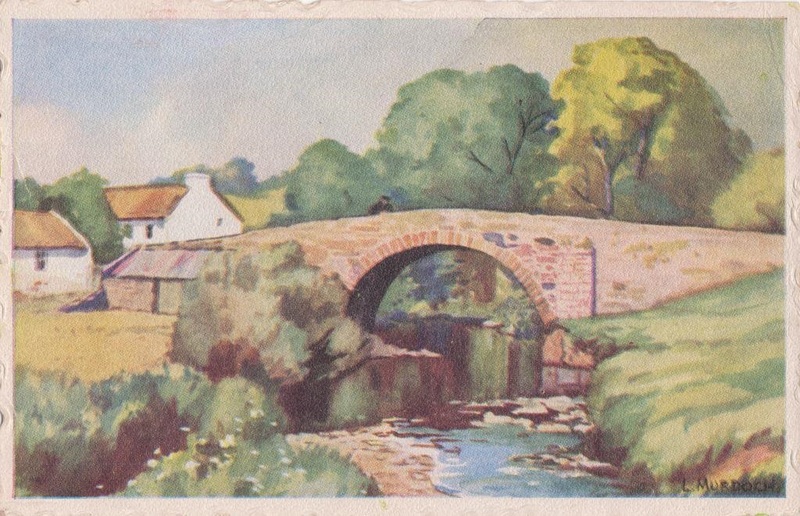 No publishers name indicated or number. 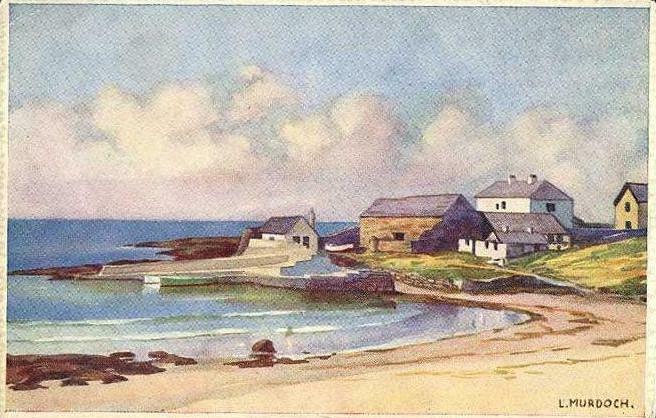 Location is Port Ballintrae nr.Bushmills, Co.Antrim. 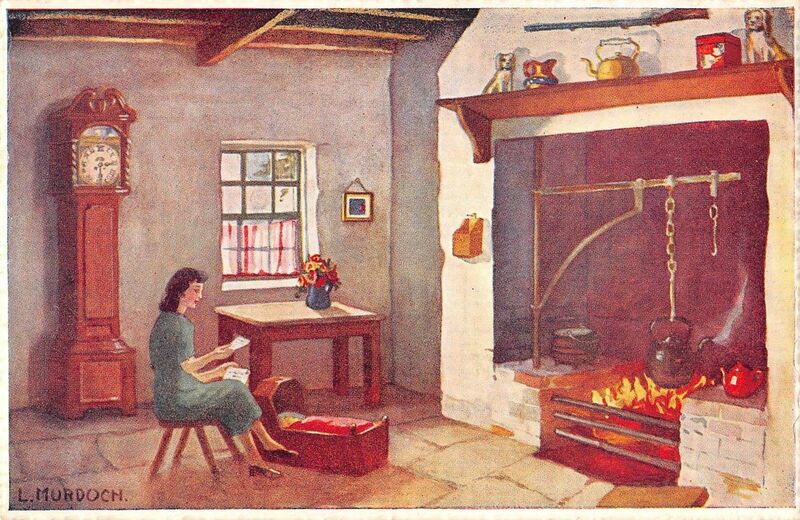 Scholastic – Mervyn Scott collection. 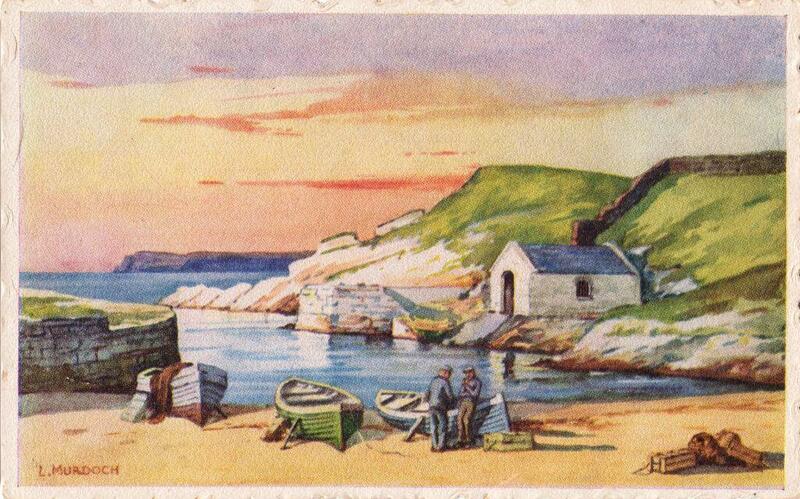 Location is Ballintoy Harbour on the North Antrim coast. 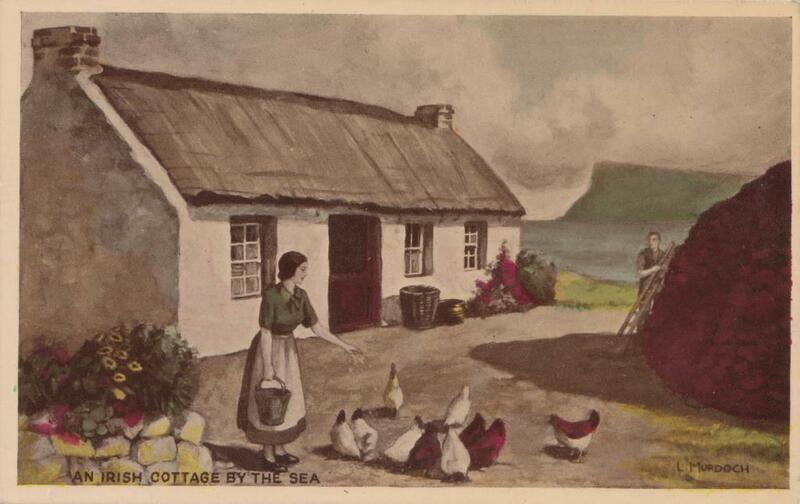 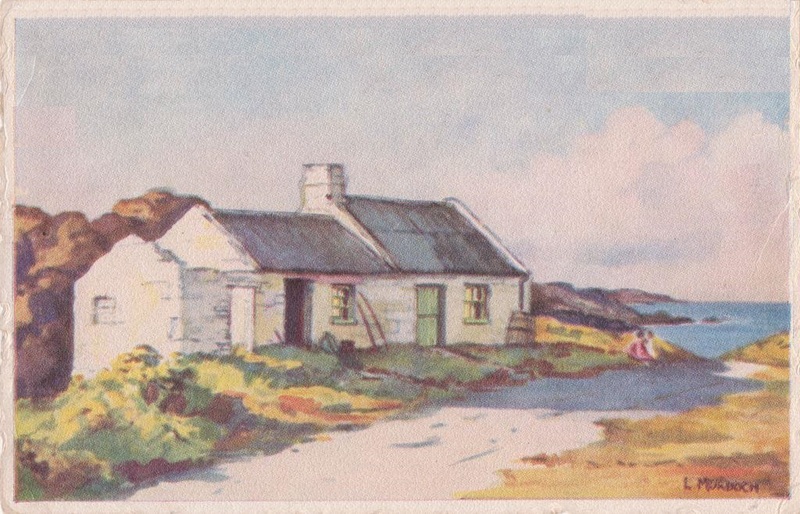 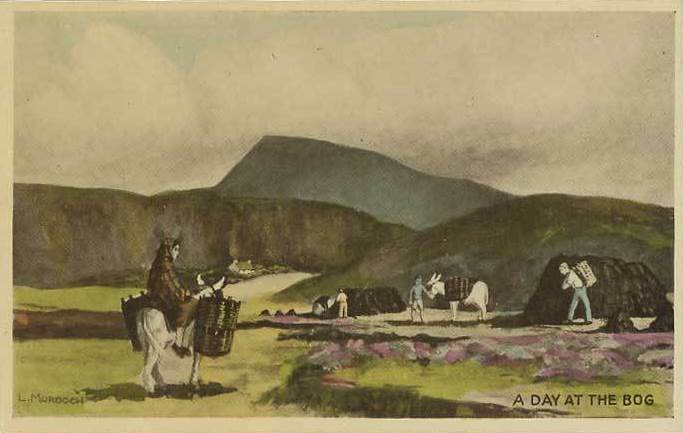 Card in my collection annotated “Cottages at Dunseverick“. 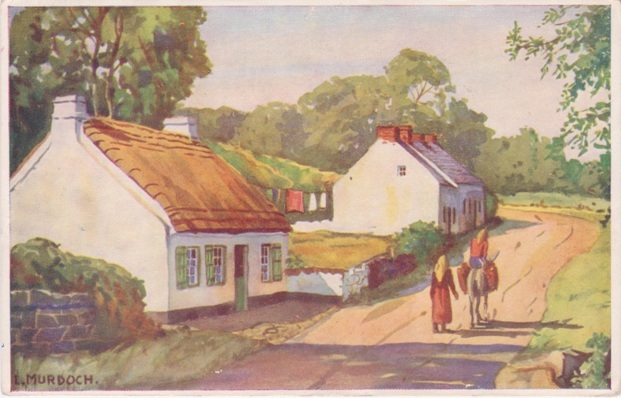 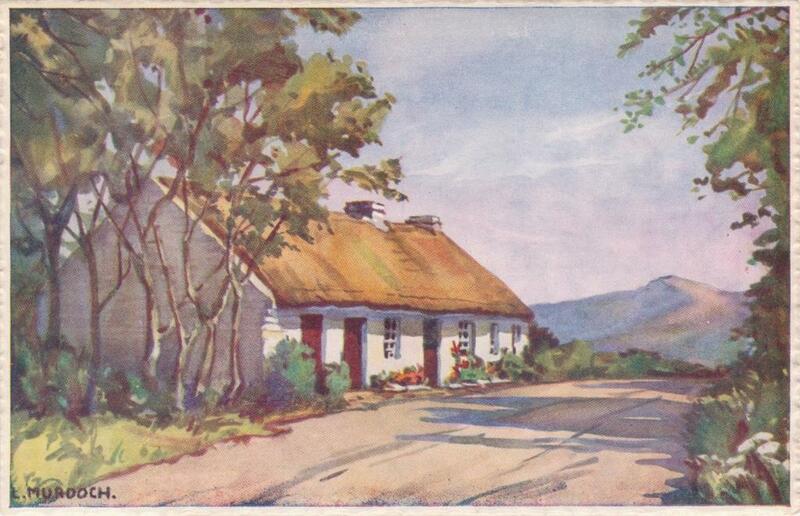 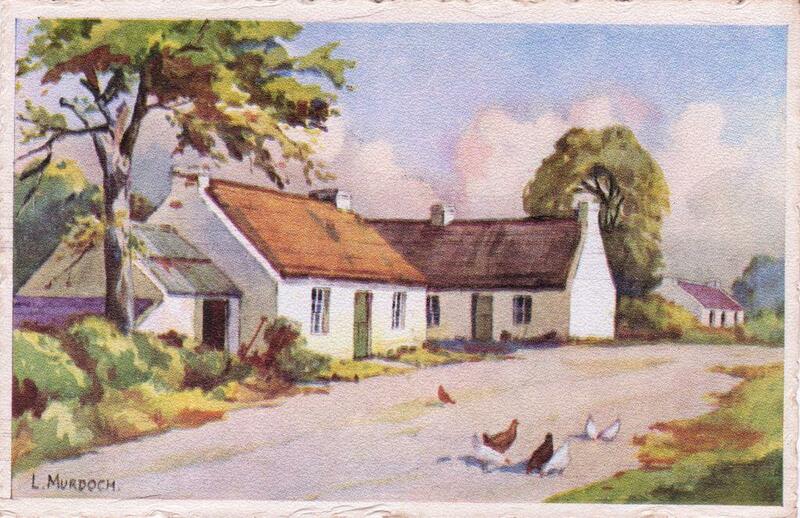 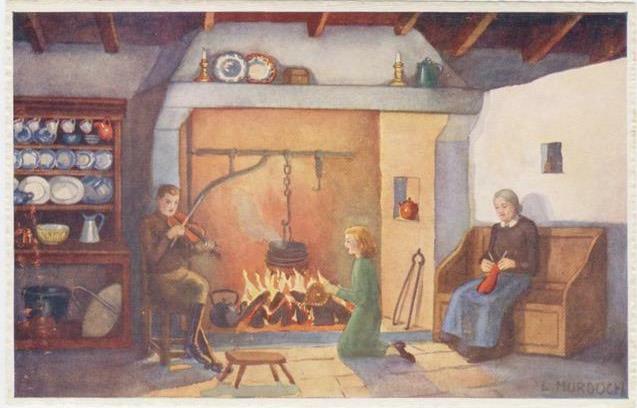 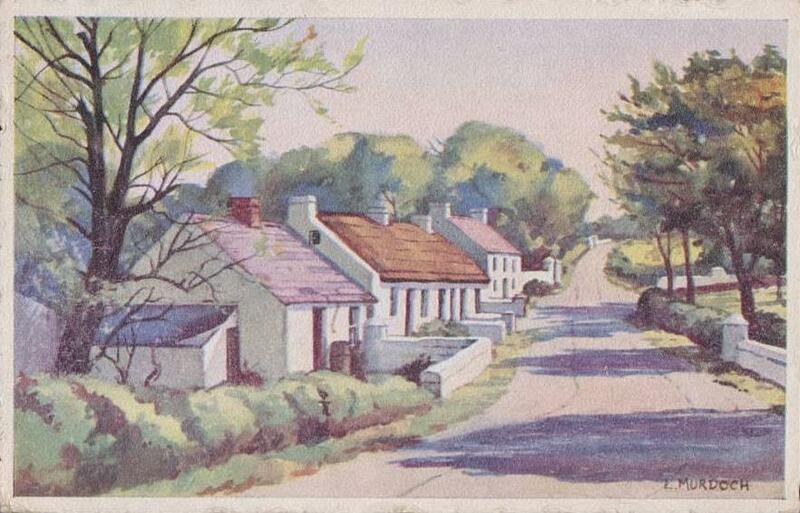 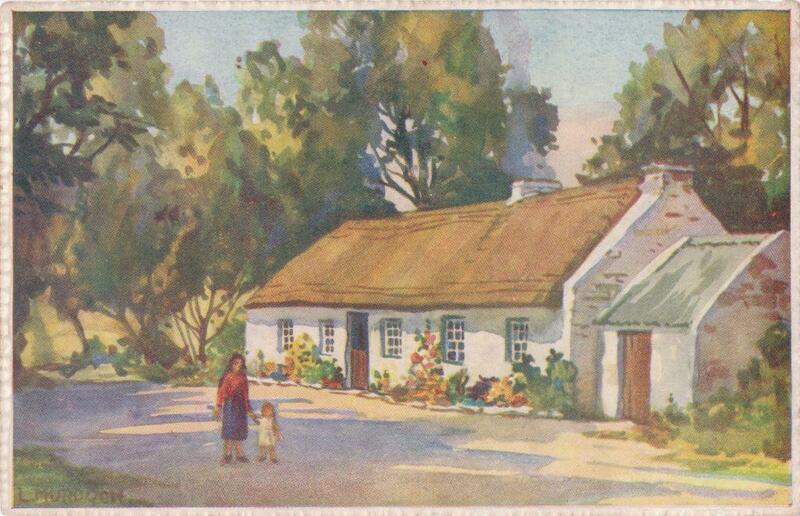 The original painting on which the card is based is titled “Cottages near Bushmills, Co.Antrim“.